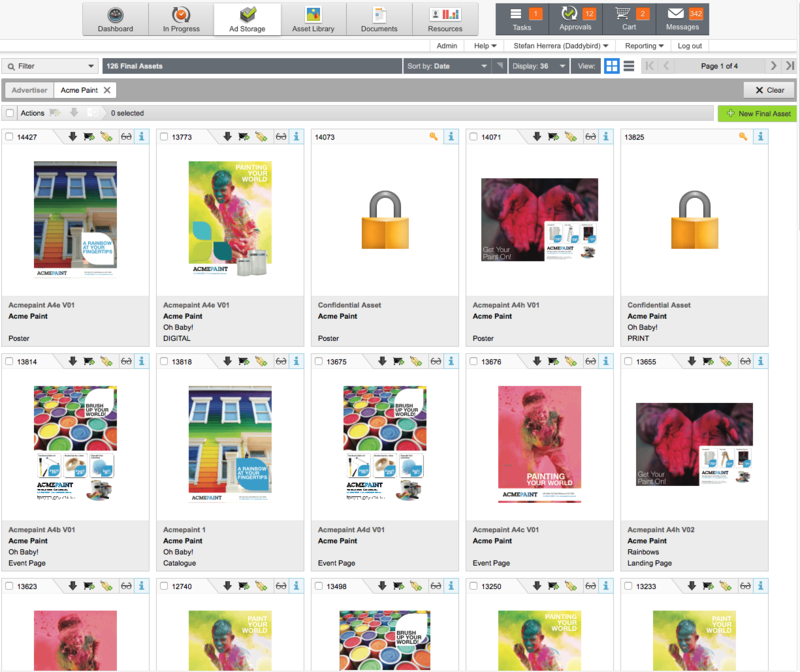 This is an overview of how marketers can utilise Admation’s Ad Storage library and Asset Library, both of which provide greater security and convenience for storing and sharing marketing assets. No more lost marketing assets! All approved and finalised campaign assets are automatically saved to the Ad Storage library. All current marketing assets such as logos and branding guidelines can be saved in the Asset Library so that only current assets are used. Have complete control over your marketing assets by nominating only approved stakeholders who can access your final marketing assets. 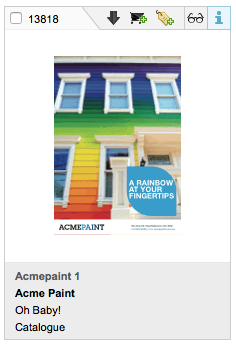 Know for certain that your marketing assets saved in admation’s digital libraries are the correct versions. This circumvents any potential marketing compliance issues by mistakenly running a campaign with a previous, unapproved artwork version or using outdated logos. Locate and share your marketing assets in just seconds instead of having to spend time searching for them in emails or on the server. Click the Ad Storage tab on the top navigation bar. 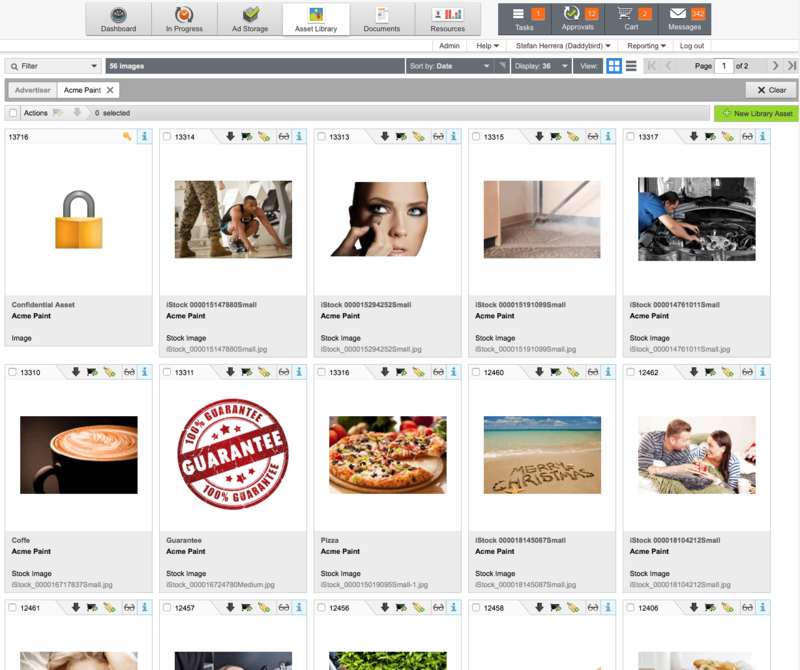 Click the Filter tab which will reveal a search panel that can be used to help find marketing assets. 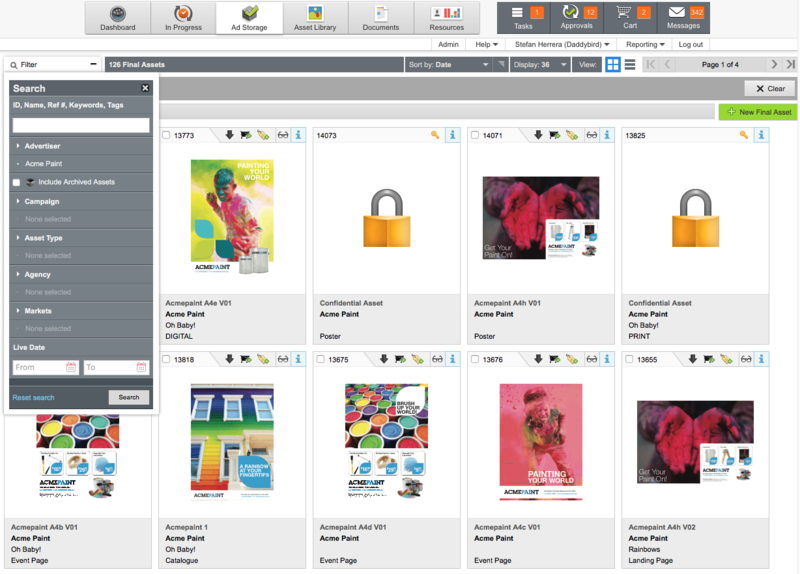 You can search for marketing assets using a range of metadata such as ID, keywords, campaign and asset type. The Sort By option allows you to sort marketing assets by using metadata Date, ID or Name. You can display a minimum of 9 and a maximum of 72 assets on the one screen as well as choose whether to display them graphically (see below) or in a list view. 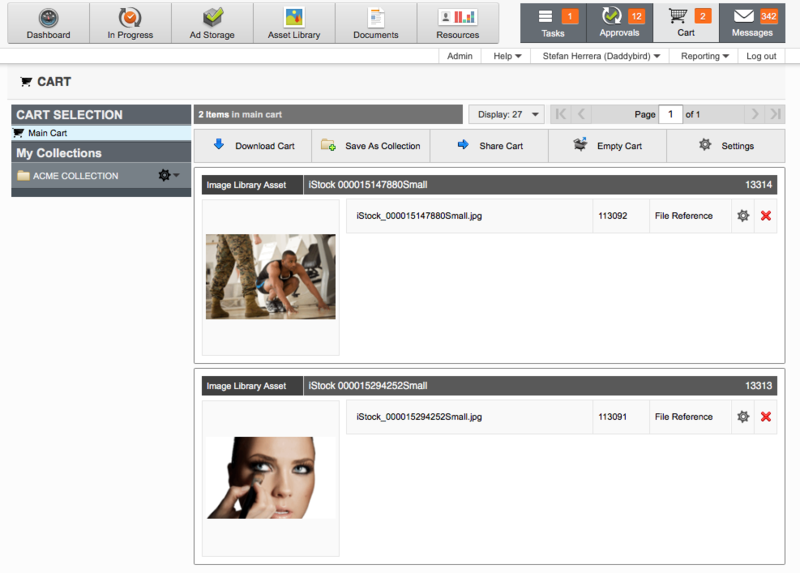 To upload an item directly into the Ad Storage library, click the New Final Asset button. A screen with two options will appear. Select Require Approval if the asset still needs to be approved, or Direct Upload if it is already approved. 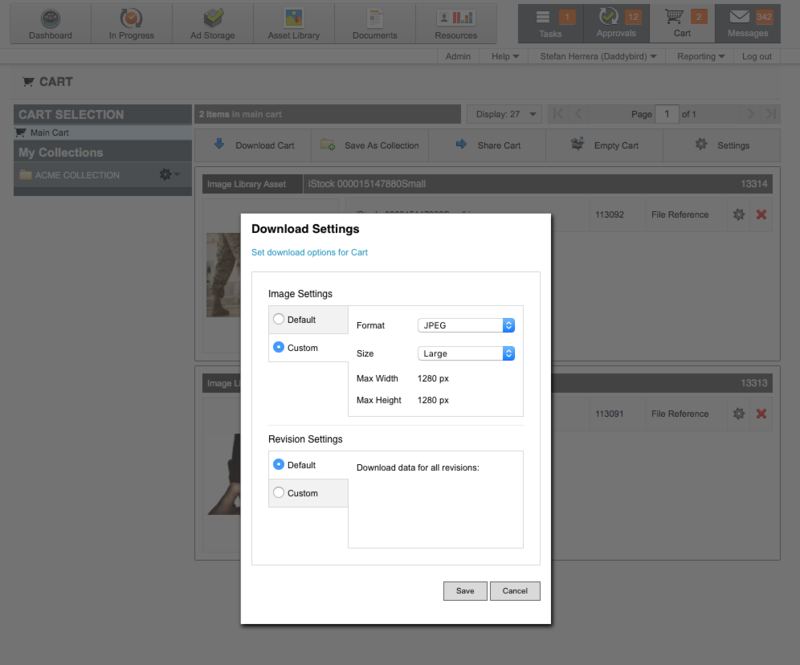 From the Ad Storage library you can add an asset to your cart or download directly.To add multiple assets to your cart or download assets to your computer, select the assets by clicking their checkboxes and then click either the Cart or Download icon in the Batch Action bar. 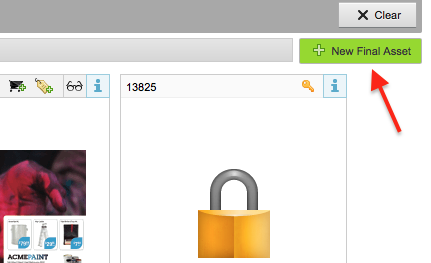 View an asset’s details by clicking the ‘i’ icon or by clicking the thumbnail. 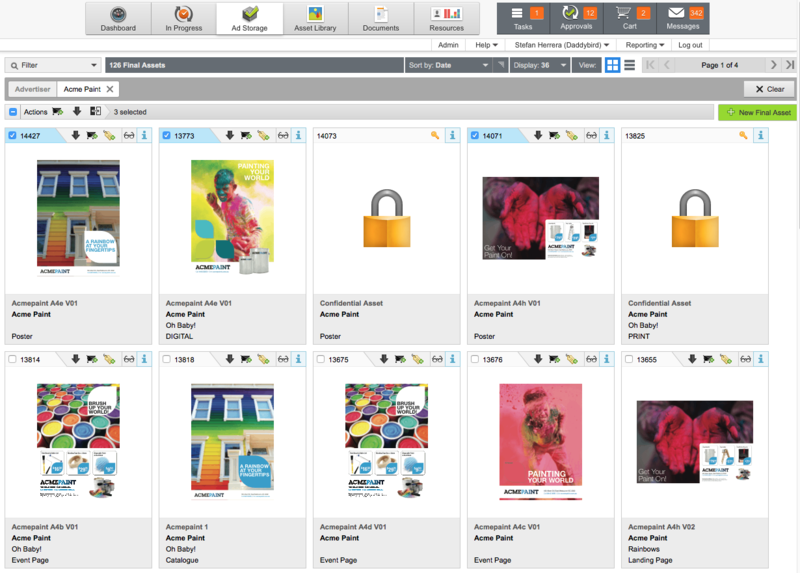 The Asset Library has been built to function in the same way as the Ad Storage library. The only difference between the two is that the marketing assets saved in the Asset Library are logos and photographs rather than finished marketing collateral and advertisements. Download Cart – Exports the marketing assets in your cart and downloads them to your computer. Save as Collection – You can save the contents of your cart to a Collection. You can then share these marketing assets to other people securely at anytime. Share Cart – Allows you to send an email to other people which lets them download the contents of your cart (similar to a file sharing app like DropBox). Empty Cart – Removes all items from your current cart (but leaves all collections in tact). Click on the Settings tab to change image files from, say, a PDF to JPG or PNG files with specific dimensions so that they can be quickly shared for reference or used in a PowerPoint presentation.